Eric and peter have performed together for many years. 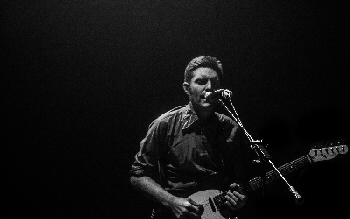 Eric Bogle is a well known and respected singer songwriter in both Australia and overseas. 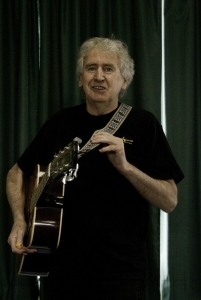 A prolific songwriter, many of his songs have been recorded by others including Joan Baez, Donovan, Slim Dusty, The pogues, Mary Black , Billy Bragg and John Williamson. Tamar Valley Folk Festival commitee is honoured, Eric responded to our invitation to help us Celebrate 25 years. 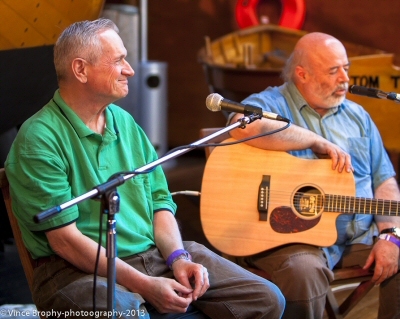 Eric and Peter will perform at the Welcome Concert on Friday 15th and the Eric Bogle Concert on Saturday afternoon of the 16th. Identical twin sisters, Alanna and Alicia have charmed audiences from the National to Port Fairy with their original folky/jazz/roots songs, sweet harmonies, and on stage warmth, wit and fun. Both are gifted songwriters who have won awards at national level, and their lyrics, equal parts heart and humour, sparkle with an original, intimate voice. Playing at the festival for the first time, they will sing songs from their beautiful third album, ‘Twinlines’ as well as favorites from their previous albums, ‘Two in a Book’ 2010 and ‘Funny She’s So Much Like Me’ 2006. 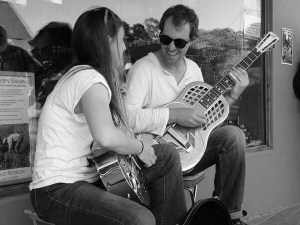 Dynamic duo of the Folk/blues/roots Australian music scene, this husband and wife team, Tiffany Eckhardt and Dave Steele are seasoned songwriters and performers. Based in the far south of Tasmania, their music is inspired by the landscape and by the joys and challenges of family life and life as artists. Tiffany and Dave charm audiences wherever they play with their stories and songs and have them either laughing or crying or both! Last year they launched their new album,” Big Big Sky" along with their recently released ‘Best Of’ album, ‘Think About You’. 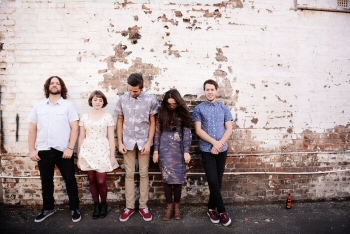 Melbourne based contemporary folk band Cora & the Crop Boys. Irish roots. Both Cora and Vince born in Ireland have come together with Australia arranger & musician Felix Meagher (of ‘Australia’ the movie fame) to form this band.Three strong voices, six delicate instruments & three Australian songwriters. 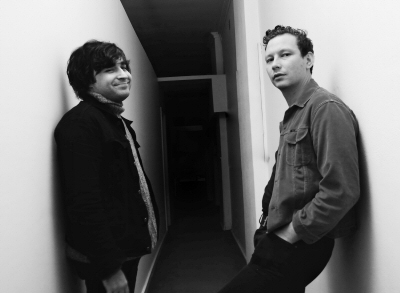 Tooze and Bruce have been compared to the likes of Bob Dylan, John Lennon, Neil Young + Simon & Garfunkel in setup and style. 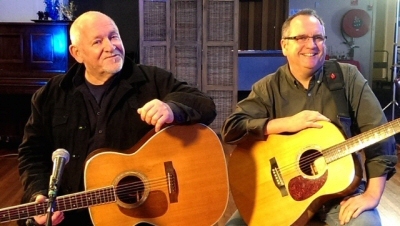 They have plenty of experience in opening for international acts such as John Hiatt, Dido, Tommy Emmanuel, K.T. Tunstall and Vanessa Carlton, Screaming Jets and the Panics to name a few. 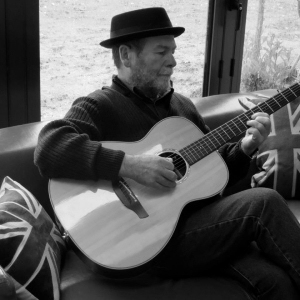 Veteran songwriter and guitarist Louey Hesterman along with Cora Brown, Christy Cooney and Cyril Moran will be performing original songs from Louey's recent CD; together with recent and all time favourites. Guest appearance by Melanie O'Shannessy. THE FATAL SHORE: Van Diemens Land in Song Presented by Malcolm Turnbull & John Lavery and friends. 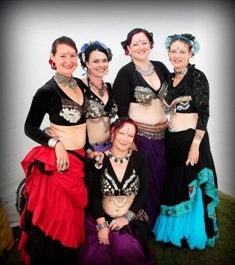 A 90 minute themed concert that recalls Tasmania's colonial beginnings. A mix of ballads, laments and satires - some traditional, some more recent (by the likes of Lyell Sayer, John Warner, Kenneth Cook, Peter Hicks, Vince Brophy & Neil Gardner), together with 'a bit of historical commentary'. Off the back of her impressive Telstra Road to Discovery win last year, Loren Kate is launching her new EP 'Til Hight Meets the Sun' right here in Tamar! Quickly gaining a reputation as an utterly captivating live performer and storyteller, Loren's conncetion to her audience has left many with both joy and tears. Her collection of songs are dynamic, honest and very engaging. Jacob Boote and Laura Mead both hail from Tasmania's North West Coast. They have been playing together for four years. They have their own unique sound as a duo playing an assortment of resonator guitars and other stringed instruments incorporating soulful vocals and gentle harmonies. Laura's impeccable timing and hot rhythms allow Jacob to delve into amazing melodies and incredible feeling through bottle neck slide and traditional finger style swing, jazz and blues. Phil Beck, Paul Stewart, Danny Spooner, Bob Sharp, Scotty Balfour and Don Bruce. A themed Concert "The Common Soldier". A musical journey through various theatres of war as they explore, in slide, verse and song, the slings and arrows of outrageous fortune hurled at the humble soldier through the ages. From being treated as cannon fodder by Colonel Blimp; being generally reviled by all and sundry (until the band begins to play that is ) and countless other indignities endured by poor old Tommy Atkins in his quest to serve King and Country. Tony lives and works in the Tamar Region , hailing from the West Coast of Tasmania from where much of his material is sourced. Tony will be joined by friends,Vince, Cora and Felix from Cora and the Crop boys to present his latest works and release his new album right here at Tamar. Scott has grown up with the Tamar Valley Folk Festival and now lives in Launceston. Scott won the youth award a few years back and has since gone on to write a great deal of his own material. Joy will entertain and engage children in a fun concert of Puppets, song and stories. Not to be missed and very interactive. 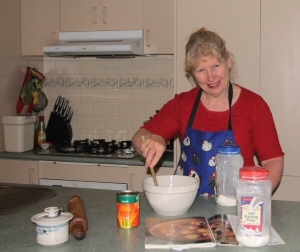 Back by popular demand, Margie will have the children cooking in the kitchen!Parent help is always welcome.Aprons are a good idea but not essential. Please register for this event at the office, as there is dietry and allergy form to fill out, granting permission for your child to participate. 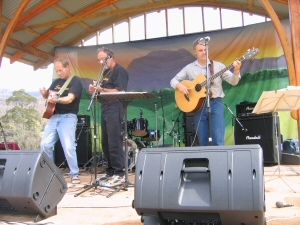 Michael kay performed at the very first Tamar Valley folk festival, playing banjo, fiddle and mandolin. 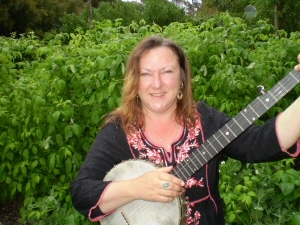 Joy Coates has sung her way ‘round a bunch of traditional Irish songs as well as Old Time, Roots and originals. 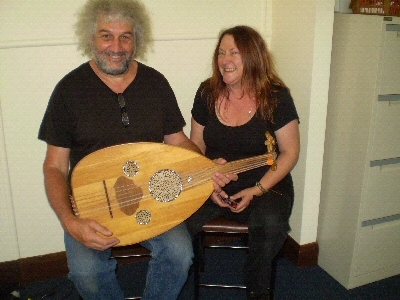 As “The Slow Cooked Goats” they present Child Ballads as well as more contemporary offerings, accompanied on the oud and the kamanche; ancient precursors to the lute and violin. Together and separately they have performed at Cygnet, George Town, the Fleahd in Hobart and at Rosebery. Tim is a contemporary Australian poet based in Launceston. Author of fourteen volumes of poetry. Tim inaugurated the Tasmanian Poetry Festival, which he directed until 2001. Tim will host the Poet's Breakfast at the Memorial Hall Supper Room Sunday morning at 9am. Brisbane based musician, Danny is the singer for the Wilson Pickers and also performs in a duo as well as his solo career. He has two ARIA award nominations, released 5 studio albums, and played lead guitar for the likes of Bernard Fanning and Tim Rogers. 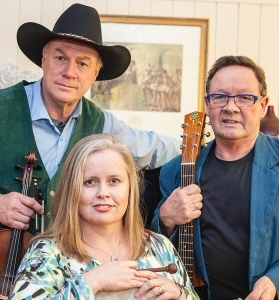 The Craggs are a four-piece band presenting a joyous celebration of life in Tasmania. 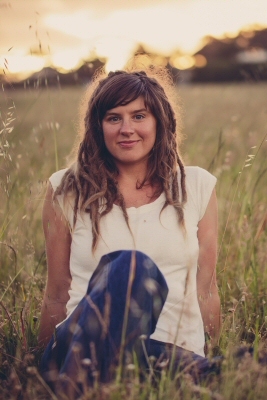 Lindsay Campbell, Kevin Regan plus Jane and Steve Ray, their music is largely about Tasmanian culture and wilderness. The use of lyrics and instrumentation in their songs is very effective and unique. 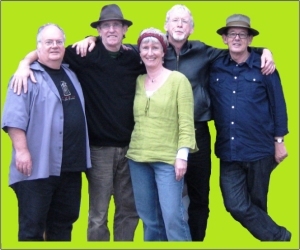 The band has performed at many festivals including the National Folk Festival and the 40th anniversary of Woodstock in New York State. Lee is a musician who has been playing professionally for more years than he cares to remember. Singing and playing a great range of original music, traditional folk, jazz blues and ballads, Lee has played at some of Australia’s top venues and appeared at many music festivals receiving much acclaim for his unique and intimate style. 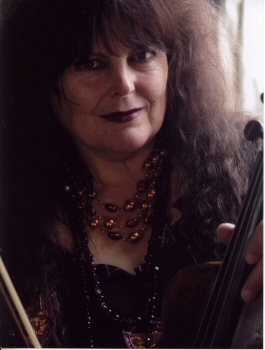 Rose is a regular to our festival and we look forward to hearing her again. Celebrating 50 years in the Folk Scene, will perform her workshop "Sun, Moon, Stars, Wind and Rain - The Folklore of the Weatherwise." With so many people talking about climate change, it is good to know that there is traditional weather lore which has been passed down through the centuries. From planting beans to predicting storms, this is folklore at its most useful. 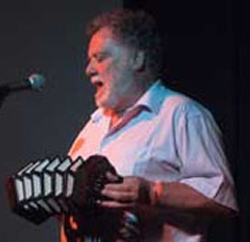 Danny has been with the Tamar Valley Folk Festival since day one and we look foward to his perfomance every year. 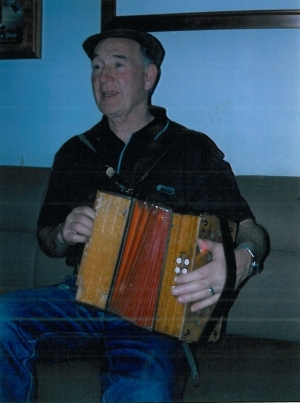 Danny is a traditional folk singer and social historian. Born in England, his passion is the expression of British and Australian culture through folk music. Mick comes from Glaway and via Bristol , then Sydney, Mt Isa, Kalgoolie etc to Franklin in '77. Writing songs along the way. Mick resides in George Town sings, plays button accordion and enjoys a good session. Together with Helen, the Flanagans kicked off the first Tamar Valley Folk Festival. 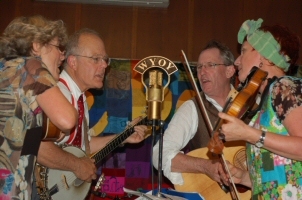 Stan and Rebecca Gottshalk, Steve and Jane Ray THE WYOY SOUTHERN MELODY HOUR. The New Holland Honey Eaters will wind your radio back to the 1930s with The WYOY Southern Melody Hour. The Band takes on the personas of four staff members of mythical small Southern radio station WYOY, and they transport you right back to the early days of broadcast country music during the Great Depression. It is the late 1930s, and the station is delivering its weekly 'barn dance' radio show. But, unbeknownst to their audience, money is so short that our four intrepid station staff are forced to portray all the on-air guests themselves.